One of the most viewed article in this blog is how an investment of Rs.10000 in Wipro would have grown to Rs.535 crores after 35 years. Lot of people don’t believe that such kind of returns are possible and that it is a fairy tale that blogs about stock markets post. These are called multibaggers which would multiply your wealth in orders of magnitude. No one who has claimed to have bought at that rate in 1980s and stuck with it for such a long time (except maybe the promotors themselves). But returns like that are very much possible. Let me give you few examples of stocks that have been multibaggers. Usual Disclaimer: These stocks have run up a lot from the prices I mention and might not be a good investment at the current rates. Also past performance of the company isn’t an indicator of future performance. These stocks are just for education purposes and not a buy recommendation. Infosys was at the right time and at the right place when the IT boom happened in India. Lot of people would have heard the story of how so many employees of Infosys became millionaires. But what about normal people like us who weren’t provided with stock options? What if you had invested Rs.10000 in Infosys in 1993 when it went public? You would have gotten about 100 shares of the company. Today the stock is priced at Rs.1010 per share which means you would have Rs. 5.17 crores in your hand. All because you invested a small sum of Rs. 10000 and forgot about it. You would also be getting about Rs.27 lakhs as dividend. If you are moving houses, you would have probably hired a Eicher vehicle to transport things. Eicher motors manufactures commercial vehicles like trucks and tractors. Not many would know that they also own one famous motorbike brand – Royal Enfield. 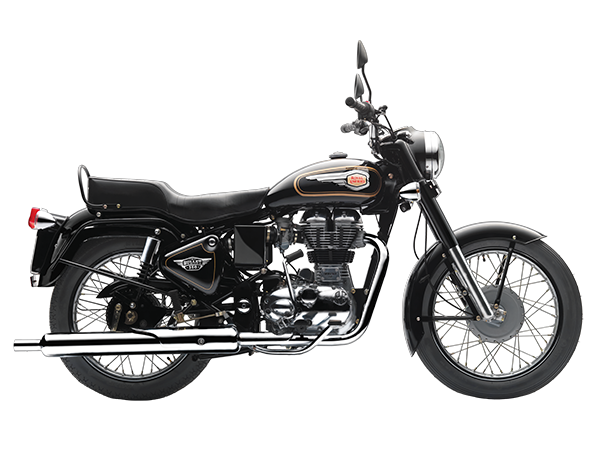 Royal Enfield has been manufacturing bikes for a long long time in Chennai. They are the bikes that the Indian Government buys for our Army. Lot of bike riders would love to get their hands on an old Classic Bullet. Just imagine that your friend bought a Bullet for about Rs.55,000 in early 2000s and you decided to invest the same amount buying stocks in the company which manufactured Bullet. You would have gotten about 2200 stocks. And based on current market price, that is worth close to Rs. 4.80 crores. This example is close to my heart (or rather my Dad’s). In 1990-91, my Dad wanted to buy a house and he decided to take a loan from HDFC. Someone mentioned to him that one can get a discount on the rate of interest if you were a share holder in HDFC. So he decided to buy 15 stocks of HDFC with Rs.1500 and he shaved off a few percentage points on the interest rate on his loan. He forgot about the shares and after many many years when he dematerialised the stock certificate it had grown to a few hundred stocks. Today he holds 1000 stocks of HDFC and 1000 stocks of HDFC Bank (he forgot details of how he got HDFC Bank). One stock of HDFC is worth Rs.1260 and one stock of HDFC Bank is worth Rs.1200. His total holdings are worth almost Rs.25 lakhs. Little would he have imagined that the small sum of Rs.1500 he spent on that day would now be worth Rs.25 lakhs. He has earned more from the stock than he had earned from the house he built or the interest rate he saved as a share holder. There are numerous such examples people claim like: Rs.1 lakhs invested in ITC in the late 1980s is now worth tens of crores. If you had bought Apollo Hospitals at Rs.8 or Rs.9 per stock, you would sell it today for Rs.1200. Let us just forget all those examples and I will tell you about 3 stocks that I personally had the chance to invest and/or invested. Two of them I missed the opportunity and in one stock I have more than 20x returns. It was in late 2012 when I started to seriously get into investing into stocks after initially burning my fingers during the previous bull-bear cycle. A prominent investment specialist suggested to buy 1 stock of MRF (which was quoting at Rs.10,000/stock). Stupid me thought that it was crazy to spend Rs.10,000 for a single stock of a company. I didn’t buy it then and it has now grown to almost 5 times the price. 500% increase in just 4 years. The stock rose because of the cost of rubber decreased, whereas the selling price of the tyres didn’t go down. This made sure that these tyre companies were making more profits and adding value to the shareholders. I didn’t understand all these factors during that time and I wouldn’t have been able to predict that this would happen. Same year (2012) someone told that Ajanta Pharma was a good company and to invest in it. Since I have already burned my fingers by listening to people for investments, I decided to pass it. It was quoting at about Rs.100 (after all recent bonuses and splits) in late 2012. Recently it hit a high of Rs.2000. It was a 20x multiple return. If only I had invested a small sum of Rs.10,000 in it, I could be sitting on a cool profit of Rs.2,00,000. But all was not lost, as I did buy Ajanta Pharma in Dec of 2014 and I am having a small profit of about 63%. This is the one stock that I has been a real multibagger in my portfolio. Indo Count is a company which produces only one product – bed sheets. For many people it might be a boring company. But for investments, boring companies which produce boring products consistently grow the wealth of the share holders. In April 2014, I decided to buy 100 stocks of ICIL for Rs. 46.5 per share. I put in Rs. 4650 only and in about a year it had grown to 10x. In less than 22 months of investing, it had multiplied by investment by 23x. Recently the company split the face value of the stock 10:2. My 100 stocks got converted into 500 stocks, while the price got decrease by 1/5th. I decided to sell off 100 stocks to book partial profits and remain invested with the 400 stocks. These examples are just a sample of some multibaggers that have worked out for others and me. There are numerous such opportunities in the stock market. I hope these examples would be enough to convince you that stories like Wipro aren’t a fairy tale. I agree none of my examples are even comparable to the Wipro example, but are you going to ignore such smaller stocks just because you are waiting for the one big stock? Daily the stock market presents itself with opportunities to grow your wealth. All you have to do is: do proper analysis of the right company and stick to your decision as long as you believe in your analysis. Proper investment strategies and analysis is the only way you could multiply your wealth. Are there any such multibaggers you have heard of or have personally invested in? I would love to hear them, please leave them in the comments below.